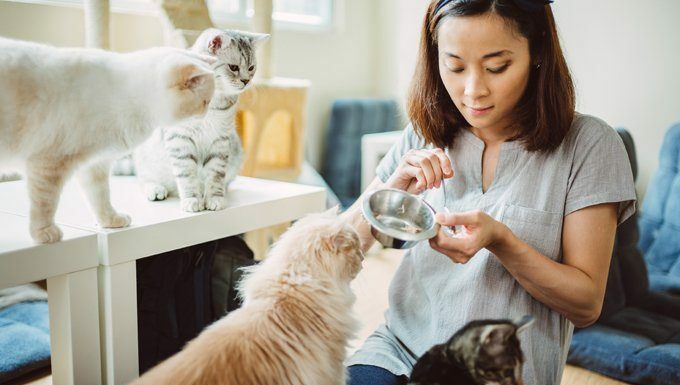 Professional Pet Sitters Week starts on March 3rd, 2019, and we wanted to pay tribute to all those wonderful pet sitters out there who take such great care of our amazing cats when we are out of town! 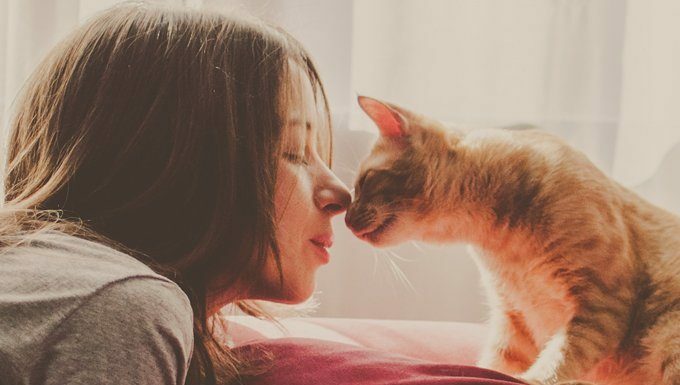 We know you love your cat sitter or you wouldn’t have hired them, but how do you know if your cat loves the pet sitter you picked? Here are a few “fur sure” signs that you found the perfect sitter for your furry companion. 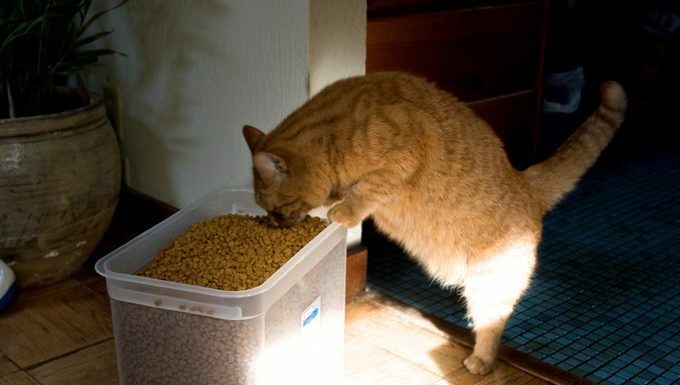 Cats don’t “stress eat” like humans do. In fact, unhappy cats have been known to stop eating altogether for a brief period of time. 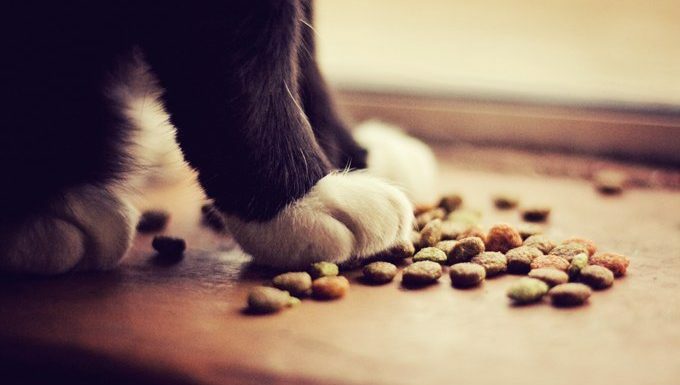 So if your pet sitter is refilling the food dish consistently and you come home to find the food dishes are empty and your cat’s not hungry, then your cat was likely feeling pretty content and happy with your choice. By the way, if want to check in on your cats while you’re out town, read about these great and inexpensive video cameras for your home. 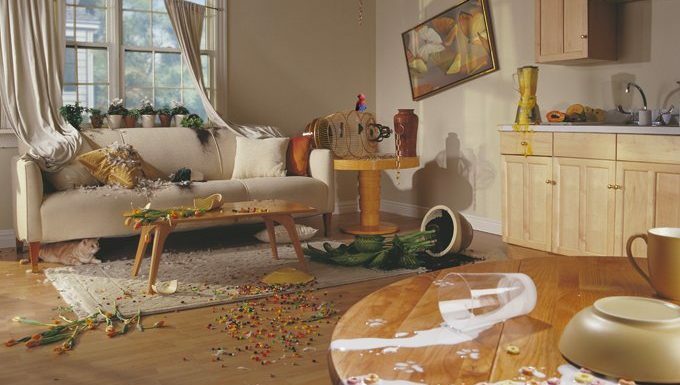 If you get home to find your cat’s toys aren’t where you left them, but they’re scattered all over the floor, this means that your cat was happily playing while you were gone. 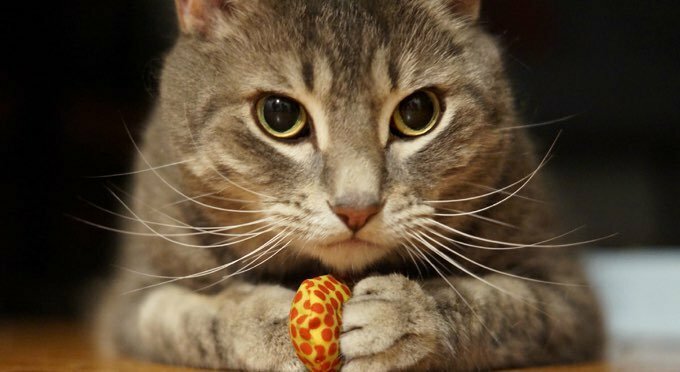 It could also mean that your pet sitter got out the toys and played with your cat! Either way, it’s a great sign. Ever try introducing your cat to someone new? Some cat owners get the rare pet who wants to greet absolutely everyone who walks in the door. But for most cat owners, their cats are a little shy with newcomers. They may even still be shy after your friend has visited for the fourth time in a row. If your cat doesn’t rush to be petted by your cat sitter, don’t take that as a bad sign. But if they do approach your sitter as soon as he or she walks in the door, that’s an indication that your cat loves your new hire. Bored cats can react similarly to bored dogs–they act out. A sign of a bored pet is coming home to find your belongings strewn all over the floor, deep scratches in your favorite furniture, and pee spots on your bed and clothes. If you come home and your house isn’t in shambles, then your pet sitter has been doing a great job with the kitty. Cat language isn’t that tough to interpret once you figure it out. One sign of a happy cat is when they walk around with their tail held high or crooked a little at the top. If your pet sitter sends you photos of your cat while you’re gone and their tail is up in the air, then you’ve got a very happy cat. If your cat greets you this way when you come home from your vacation, it means that they’re not stressed and feel relaxed and content. When picking a pet sitter, it’s usually good to have a little “meet and greet” visit first. And after you return from a vacation, your pet sitter will stop by the house to return the keys and do a follow-up visit. Watch your cat’s reaction around the sitter at any of these times. Does your cat purr when the sitter pets them? Do they give the sitter head bumps or rub against their legs? These are signs that your cat loves their new friend. If your cat loves your pet sitter, Professional Pet Sitters week is a great time to send them a little note or photo of your cat saying thank you! Let them know that you really do appreciate the love and care that they give to your kitty when you’re out of town or working long hours. Other ways you can let your pet sitter know you appreciate them: Refer a friend! Write a nice review online and let the world know how wonderful they are. This will help them book more jobs. Stay in contact. Send a photo of your cat to their favorite sitter now and then. Oh, and don’t forget them on your holiday card list! Does your cat love your pet sitter? How can you tell? Let us know in the comments below!